As I was trawling through one of my favourite design blogs the other day, I came across something rather fascinating. 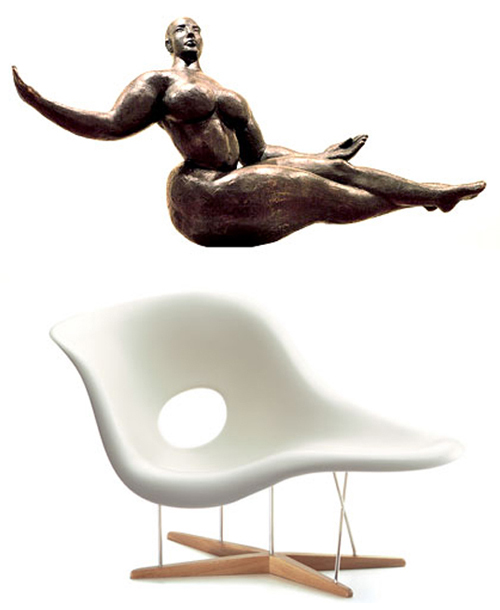 I found out that the Eames "La Chaise" was designed in 1948 for a competition by the Museum of Modern Art (NY). It was inspired by a sculpture called "Floating Figure" by Gaston Lachaise. Brilliant! See the original post here, via NOTCOT. I did me some Algebra! Photoshop CSI: Coming to a store near you!